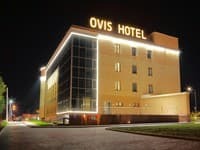 Hotel "Classic" is situated in a quiet place on a picturesque Krasnoznamennaya street, 50 meters from the Pushkinskaya street and 100 meters from the Sumskaya street. Rooms are classically decorated, equipped with plasma TV, air conditioning, free Wi-Fi, hairdryer. Guests can enjoy national and European cuisine, as well as a cup of hot coffee at the bar. There is a free parking for guests who prefer to travel by car. A 10 minute walk from the hotel "Classic" are parks, numerous cafes and restaurants, shops and cultural activities. Railway Station - 4.5 km, airport - 14 km. Description of the room: Single room with a semi-double bed. Description of the room: Great vacation in the quiet center! In the hotel guests can order national and European cuisine, as well as a cup of hot coffee in the bar. 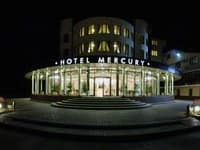 Hotel "Classic" is situated in a quiet place on a picturesque Krasnoznamennaya street, 50 meters from the Pushkinskaya street and 100 meters from the Sumskaya street. The nearest metro station is "Pushkinskaya".